The key financial figures that demonstrate economic feasibility of various heat sources are the direct costs of heat generation. 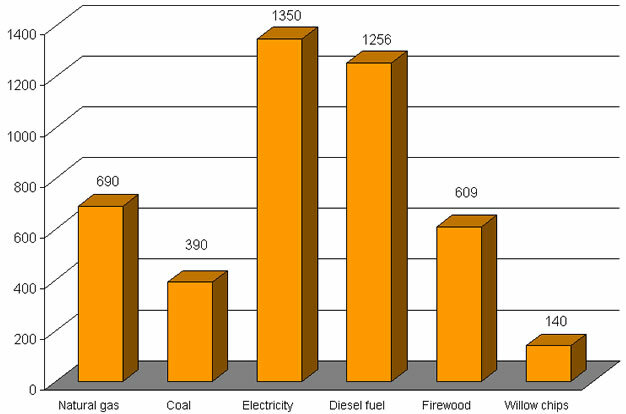 Heat generation costs provided on the graph are based on the direct raw material (biomass or other) costs at the point of heat generation. Thus, infrastructure capital expenses such as gas pipelines, mines, electric grids, oil drills and forestry bases are not calculated in or had been originally included in the eventual costs of the heat sources demonstrated for the comparison.